Our six-month coaching process is specifically designed for high-potential women at the director or senior-manager level that helps prepare the next generation of women leaders. The process engages the participant in a comprehensive exploration of her career aspirations, personal style and the impact that she has on the organization. This one-on-one process is tailored to meet the participant’s specific needs and challenges and provide her with an action plan for leadership excellence. Each participant meets with her personal coach several times monthly to discuss progress against her goals and action steps. Each participant creates a Professional Development Plan that the participant and her coach review with her manager to gain support. 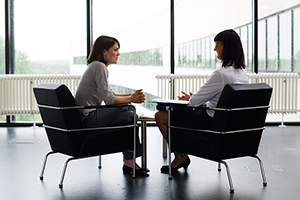 The participant and coach also discuss how to enhance her significant stakeholder relationships to achieve business results and maximize her performance.